If you haven’t heard about Bitcoin or cryptocurrency, then you’ve been living under a rock! Bitcoin is the talk of the town, especially now that its worth a small fortune for each coin! There’s immense discussion and debate about Cryptocurrencies, and how to procure and earn Bitcoin. There are numerous ways to add Bitcoin to your wallet ranging from Bitcoin Faucets to taking on micro-tasks in exchange for Bitcoin, but what is a Bitcoin exchange? Simply speaking, a Bitcoin exchange is an online marketplace that enables traders buy or sell bitcoins using various fiat currencies or altcoins. But really, this is just scratching the surface of this vast digital world. If you want to understand more about Cryptocurrencies, specifically, Bitcoin or Cryptocurrencies exchanges than read on. Let’s see what the whole fuss is about, and understand which Bitcoin or Cryptocurrency exchange will work best for you! 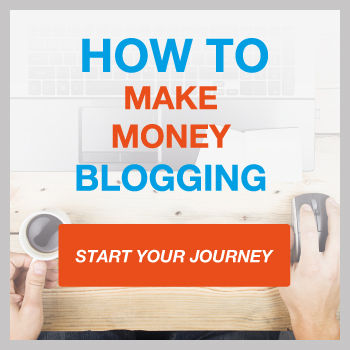 Affiliate disclaimer: To keep this site running and free to use, we monetize this page with affiliate links. So if you were to click on a link of a company we personally recommend, we get a small commission in return. There is absolutely no cost to you. Today, Bitcoin or Cryptocurrencies has become a world-wide phenomenon. It still seems somewhat geeky, and most people don’t fully understand Bitcoin, but governments and organizations are aware of its importance in the present scenario. Not many people are aware that Cryptocurrency are actually a by-product of another invention. Satoshi Nakamoto, the invisible inventor of the most famous Crytocurrency, the Bitcoin, never aimed to invent a form of currency. He wanted to establish as peer-to-peer cash system. The most important part of Satoshi’s invention is that he was able to create a decentralized digital cash system. The failure of many forms of digital cash systems led Satoshi to create a system that did not have a central cash authority. This gave birth to Cryptocurrencies. In this system, there’s no server. This means that each entity in this chain has to do their work implying that every peer involved needs to have a list of transactions to see whether future transactions are correct or an attempt to spend double the amount. You’re probably thinking about how everyone achieves a consensus in the absence of a governing body? No one thought it was possible to Satoshi actually managed to do it. What is a Bitcoin/Cryptocurrency exchange? 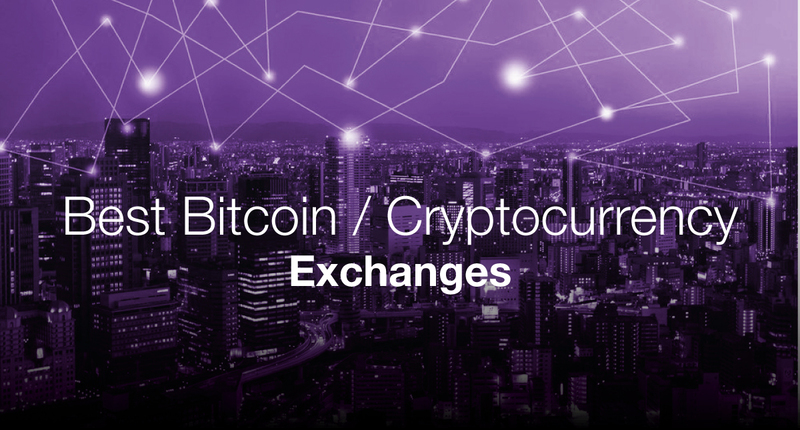 A Cryptocurrency exchange connects buyers and sellers just like a regular currency exchange (forex). Traders and buyers can buy or sell Bitcoin and other Cryptocurrencies by choosing a market order or a limit order. In a market order, a trader enables the exchange to trade his/her coins for the best prices in the digital market. In case of an order limit, the trader asks the exchange to trade his/her coins for a rate that is below the current ask or over the present bid, contingent on whether they are buying or selling. Usually, Cryptocurrency exchanges designate traders as makers or takers. When a participant places a limit order, the exchange enlists it in its order book till the price is matched, and the trader is called a maker. In the case of takers, the trader places a market order that is immediately filled. All Bitcoin/ Cryptocurrency exchanges impose transaction fees that are applied to each transaction conducted within the online marketplace. The fees are related to the number of Bitcoin transactions that a trader conducts on the exchange. For instance, Bitcoin exchange Poloniex has transaction fees ranging from 0 to 0.25 percent while GDAX fees range from 0 to 30 percent. To be able to transact on these exchanges, you have to register with the exchange and undergo a few verification processes to determine and authenticate your identity. When this verification process is completed, the user has to transfer money into their account before they can start trading Cryptocurrencies. Various exchanges employ different payment methods that can be employed such as wire transfers, credit/debit cards, bank drafts, money orders, or in some cases, even gift cards. Deposits and withdrawals come at a fee, depending on the chargeback risks of the medium. For instance, drafts and wire transfers pose a lesser risk of chargeback than, say, Paypal or a debit card. Apart from the transaction fees, traders may also need to incur currency conversion fees. This depends on the currencies that are acceptable to Cryptocurrency exchange. Transacting on an exchange that approves your local currency is a great way to avoid Forex fees. Don’t confuse a Bitcoin exchange with a Bitcoin wallet. While an exchange is an online marketplace connecting buyers and sellers, a wallet is a digital storage operation that where Bitcoins can be securely stored. The Best Bitcoin and Cryptocurrency Exchanges Online TODAY! Binance is a Chinese company that is based in Tokyo, Japan. The company was earlier operating from China completely but had to shift locations due to regulatory problems. The site claims to have the capability of processing 1,400,000 orders daily. The company had its ICO in 2017 and is a relatively new exchange. Bitcoin, Ethereum, Tron, Ripple, Verge, Sub, Zcash to name but a few. – The exchange is centered heavily around Bitcoin. This is a plus if you want to trade only in Bitcoin. – The exchange charges very low transaction fees. – User friendly for both beginners and expert crypto traders. 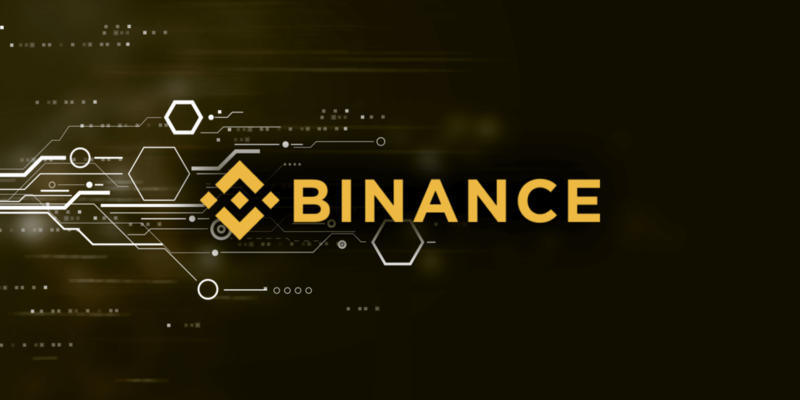 – Binance does not accept bank payment methods. Coinbase is Bitcoin, Ethereum, Bitcoin Cash and Litecoin exchange. It’s available in more than 30 countries and is one of the top ( if not the most popular) Bitcoin exchanges in the virtual space. The exchange offers various methods to purchase Cryptocurrency such as bank accounts, Interac Online, debit card etc. Coinbase provides high limits to its customers, though the limit is contingent to the verification level. The time taken for you to receive the Bitcoins depends on your country of residence and the payment method that you have chosen. – The exchange offers high levels of liquidity and the buying limits are generous. – Especially good for people who are just entering the Cryptocurrency marketplace. – The payment methods offered by the exchange are limited. – The exchange can track user activity. Coinbase is loved by most who use it, but some find it limiting in terms of tools to help you making trading decisions and transfer fees when you want to withdraw your Bitcoin and put it into your own wallet. With this in mind, we have a really good Coinbase alternatives guide for you to check out. This exchange has been in operation since 2015 and uses an automatic trading robot that can align with some large exchanges such as Poloniex or Bittrex. The exchange allows the user to trade Cryptocurrency without the need to register or undergo a verification process. – The customer support system is effective. – The exchange charges extremely high transaction fees while converting from fiat. – The founders/owner information is vague. Customers can buy Bitcoin on this exchange for low transaction fees, even on credit cards. The exchange supports most nations unless stated otherwise. Some countries are restricted for credit card purchases, while others are restricted for wire transfers. The company also offers different account levels contingent to the level of verification offered by the user. The buying limit of each account type varies. – The exchange supports most countries. – Lets users purchase Bitcoin via credit cards for low fees. – The exchange has a rigorous and complicated verification procedure. CEX.io is a market leading Bitcoin exchange that is easy to use and suitable for the newbie trader. We certainly do recommend this platform. BitMEX has been founded by a team of finance, web, and trading specialists. The exchange is most suited to advanced and experienced traders, and a leverage of up to a 100 times is available Bitcoin users. Bitcoin is a major option in the exchange, and it supports many other Cryptocurrencies. BitMEX is registered in the Republic of Seychelles. – The exchange offers derivatives and futures trading capabilities. – BitMEX offers high levels of leverage. – Users new to Bitcoin trading may not find BitMEX suitable. – The exchange provides a complicated user interface. If you know what you’re doing when it comes to trading crypto-currency then this is the platform for you. If you’re a newcomer to crypto then you might want to try platforms such as Binance, Changelly or CEX. Bitstamp has moved its location twice, once from Slovenia to London in 2013, and then from London to Luxembourg. The exchange provides a simple yet user-friendly interface and has a large trading volume, which makes it a great exchange for significant buying and selling. The exchange supports the buying of digital currencies via debit and credit cards. – The exchange has not shut down for prolonged periods despite attacks and enjoys a strong reputation amongst customers. – Bitstamp is regulated by the Commission de Surveillance du Secteur Financier, Luxembourg which indicates to a high level of security. – Account verification process can take time, and users may need to submit confidential data if the transaction crosses a certain threshold. Local Bitcoins is a global exchange and provides a variety of features for users. The exchange is available in almost all countries, and liquidity will be dependent on the number of traders where you live. Also, users can trade using any payment method depending on the availability in the area. – There are various payment options available. – It is one of the oldest exchanges for Bitcoin, and this reduces the possibility of scams. – Despite the fact that the fees are reasonable, prices can be higher based on the payment method. Coinmama is based in Israel, and specialize in the sale of Bitcoin through credit cards. The exchange supports a number of countries globally. The verification process is quick and takes less than ten minutes. The fees are high at around 6 percent. The company offers customer support services through email. – The exchange offers high limits for purchasing Bitcoin through debit or credit cards. – Coinmama is available in various countries. – You can only buy Bitcoin & Ethereum. Kraken refers to itself as the “largest Bitcoin exchange in euro volume and liquidity.” The exchange is located in San Francisco and caters to users from North America. Users from around the globe can use its entry-level services like price charts and stats. The exchange has reasonable fees. Bitcoin(BTC), Ethereum (ETH), Bitcoin Cash (BCH), Monero (XMR), Dash (DASH), Litecoin (LTC), Ripple (XRP), Stellar/Lumens (XLM), Ethereum Classic (ETC), Augur REP tokens (REP), ICONOMI (ICN), Melon (MLN), Zcash (ZEC), Dogecoin (XDG), Tether (USDT), Gnosis (GNO), and EOS (EOS). – A good platform for advanced and intermediate level Cryptocurrency traders. – Relatively low fees compared to other entry-level exchanges. – The user interface is not as friendly as available on some other exchanges. Wall of Coins assists users in trading Bitcoins for cash. The exchange has an innovative SMS system that updates the user on the complete process of purchasing which makes it particularly useful if you are a beginner. Also, sellers can accept any method of payment through Wall of Coins. The exchange supports a limited number of companies. – There are no official purchasing limits enforced by the exchange. – The coins are delivered fast, within 15 minutes of making the payment. – Fees are not stated separately and included in the purchase price. Poloniex has been in operation since January 2014. It is a global exchange operating from the US. It is the world’s largest Ethereum exchange as of 2017. The services are accessible from anywhere in the world. Poloniex’s community reps are active in answering questions and responding to messages on social media. If you want to try out trading with new and trendy coins, the Poloniex may be the right exchange for you. Over 160 currency pairings to choose from. Wide range of Altcoins. – The exchange supports more than 70 digital assets which is amongst the highest number in the marketplace. – The exchange provides detailed charts and excellent data analysis tools to users. – The private key management of the fund is centralized which makes it susceptible to custodial fraud. The company is known to be supportive of people who create trade bots. In fact, HitBTC has its own Wikipedia page, which is awesome for a Bitcoin exchange. The exchange claims to be EU based. However, incorporation information shows that the exchange is based out of Hong Kong. 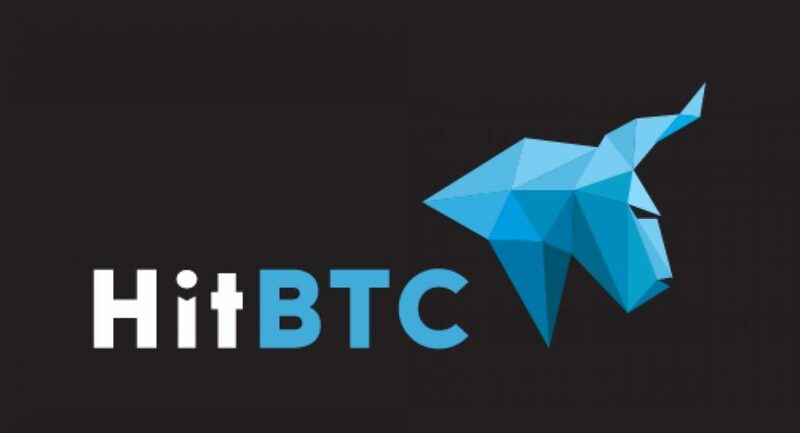 HitBTC has been incorporated in 2013. – The technology used is fairly new and the exchange offers a demo to users. BitQuick is an established Bitcoin exchange although it was hacked in 2016. The exchange lets users buy Bitcoin through cash deposits. In fact, the company favors just on payment method, cash. BitQuick is supported in 49 US states barring New York. The exchange does not enforce any trade limits. – BitQuick offers the facility of buying Bitcoin through cash. – There are no trading limits enforced by the exchange. – The markup on Bitcoin can be significant during some periods. Paxful is very similar to the Local Bitcoins platform. The user needs to choose the number of Bitcoin they want to purchase and payment options, and they are presented with sellers. The exchange rate is much higher than other platforms as buyers are taking a higher risk by selling to strangers. The company was established in 2015 and is headquartered in Wilmington, Delaware. – The exchange offers over 300 payment options. – Paxful features established sellers that you can choose from. – The exchange has mixed reviews and customer service is slow. Understanding how to purchase Bitcoin is an initial step into the world of Cryptocurrencies. After that, you may find yourself asking what factors you need to consider while choosing a Cryptocurrency exchange. There are many variables that you need to evaluate while selecting a Bitcoin exchange, such as trading volume, country, security, etc. So what is it exactly that you should consider as a trader when choosing a Cryptocurrency exchange? Fundamental information about an exchange such as the founders, market focus, etc. can be a great first step in your search for an exchange. Bitcoin is not regulated in many countries, but that’s changing fast. The scenario might be a lot better than it is a couple of years down the line. Governments are fast looking for ways to get a measure of control over Cryptocurrency transactions. The authorities need to monitor Bitcoin is due to the possibility of money laundering, terrorism funding, and smuggling that an unregulated currency can enable. These issues warrant an understanding of the location of a Bitcoin exchange before settling for one. Where an exchange is located has an impact on the laws that govern it. Right now, a large majority of countries have little or no laws governing Cryptocurrency. But when governments do implement rules related to Bitcoin trading, it can have a great impact on the use and trading of Bitcoin. For instance, using a Chinese exchange isn’t the best idea for western traders because of the verification challenges, language hurdles, and additional fees. Plus, understanding more about the founders can be a great indication of the exchange’s reputation. In case the founder’s choose to remain anonymous and do not provide proof of reserve, then you need to tread cautiously. In the Cryptocurrency world, a trading pair refers to a trade between one different types of Cryptocurrencies. You need to check whether the exchange that you select, supports the trading pairs that suit your needs. This is especially true of some altocoins that are only offered on a couple of exchanges. Some exchanges that offer a high number of trade pairs are Livecoin, Kraken, Poloniex. When you identify the trading pairs that fit your needs, you should check the exchange’s liquidity for that particular pair. If there’s a high trading volume on the exchange, this indicates that the trades will be easier and faster. The trading of Cryptocurrencies costs money, and that’s pretty much why exchanges remain in business. Typically, exchanges charge a percentage of the amount traded as fees. The percentage usually charged by exchanges can range from 1 percent to .02 percent. Most exchanges operate on a sliding scale which means that the fee percentage decreases as the trading volume of the user increases. This is the business model for most exchanges, and there’s little possibility that there would be much variation in the sliding scale structure of fees. Some exchanges with low transaction fees are Whaleclub, OKcoin, and Bifinex. The risk of being attack poses a real threat to Bitcoin. The main objective behind this is to profit from price swings and change the perception if Bitcoin. Malicious hackers can profit from a drop in the Bitcoin’s price and is pretty volatile. Mt. Gox, a significant exchange in the Cryptocurrency space, was so impacted by these attacks that they eventually released a statement with information what they were facing. A good way to gauge a site’s accessibility is known as host-tracker. All you need to do is to enter the exchange URL that you want to check out, and this program will try to access it from different servers globally. In fact, you can also set up email or SMS alerts that can allow you to keep track of the site’s upkeep over a period. You must consider the possibility of an exchange being attacked while deciding on one. Most reputed exchanges with a large customer base will publish their order book. You may be wondering what exactly is an order book? An order book refers to a list of buy and sell orders offered on the exchange. An order book with a higher volume means that users are actively trading on the exchange and that the exchange provides a sufficient level of liquidity to traders. A published order book is an important factor, though if an exchange does not publish an order book it does not necessarily mean that it’s not legit. It may just mean that it has smaller trade volumes than larger exchanges or that it does not have this feature yet. Now, you have all the information you need to go ahead and choose an exchange that suits your needs. Remember to consider factors such as your location, liquidity, and Cryptocurrencies traded before deciding on an exchange. If you do your homework right, you will easily locate a suitable exchange whether you’re a beginner or an advanced trader!